I’m a big fan of crab cakes, especially the ones from Scoma’s in San Francisco. Scoma’s is one of my favorite restaurants and my husband and I make a point to stop there for dinner whenever we’re in town. It’s a unique looking place and a bit hidden from the main stretch of restaurants on Fisherman’s Wharf, but I highly recommend checking it out. They serve fresh seafood and overall, their food is incredible. Before I get carried away, back to my point: I really enjoy crab cakes, but I rarely make them at home because crab is so expensive. 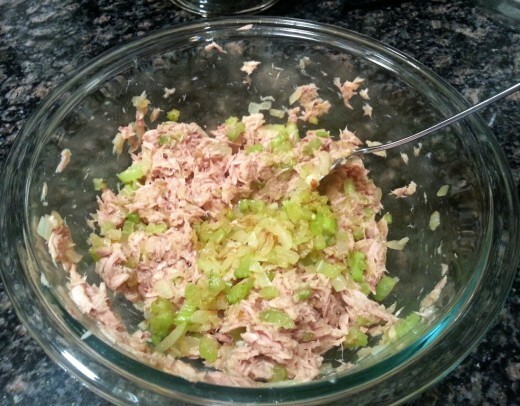 Thankfully, I’ve come up with a way to create something similar without spending a fortune – I substitute tuna for crab! 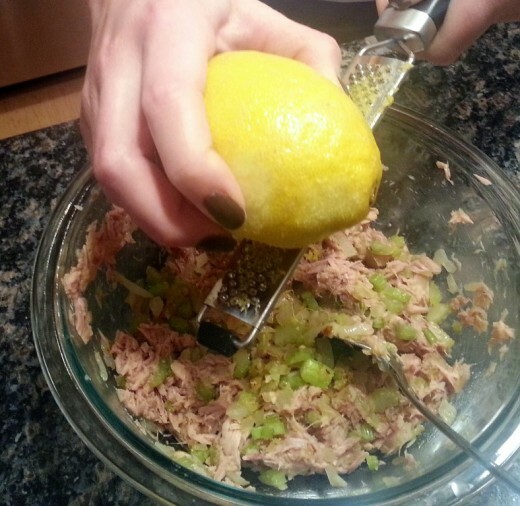 While tuna tastes different from crab, you aren’t sacrificing on flavor but using it in this recipe. These cakes are still decadent, moist and easy to make. 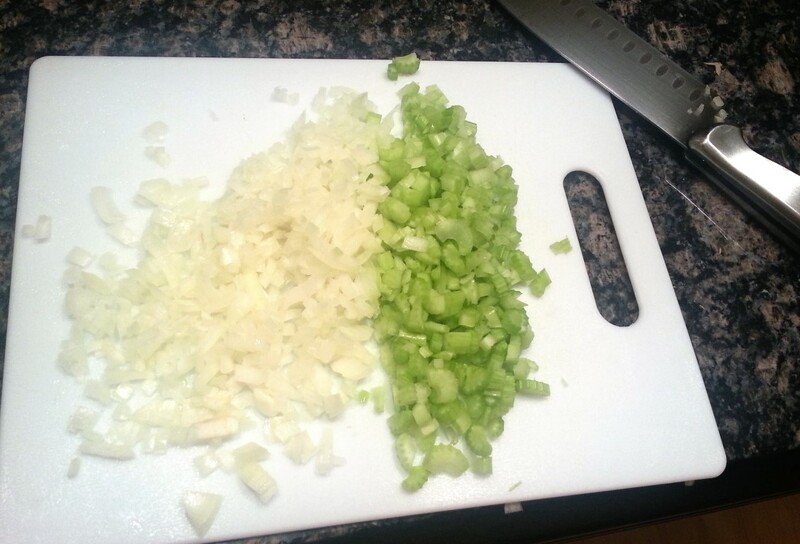 I like to start by dicing up 1 small onion and 1 to 2 stalks of celery (depending on how big they are). Heat some olive oil in a skillet over medium heat, then add the diced onion and celery. Saute the vegetables until soft and translucent, about 4 minutes. 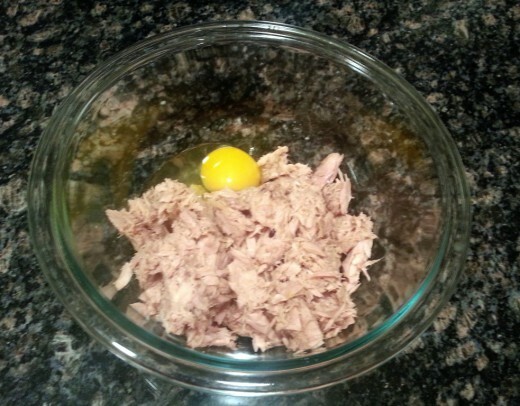 In a medium-sized bowl, combine the three cans of tuna with 1 egg. Mix in the cooked onion and celery, then add in 1 teaspoon Dijon mustard. Zest 1 lemon directly into the bowl. Add in the juice of half of the lemon. Reserve the other half for later. 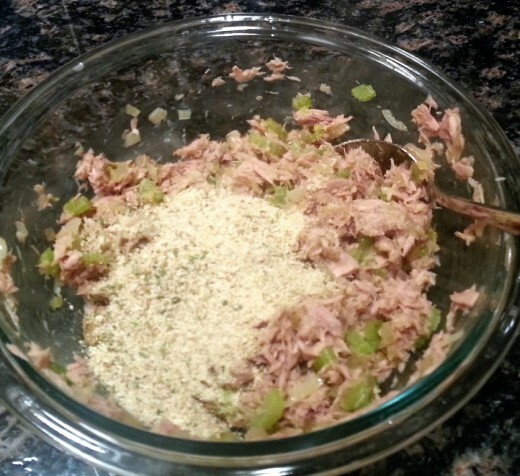 Mix in 1 cup of breadcrumbs and stir until combined. Use your hands to divide the mixture into patties, about 1/2 inch thick. I made three large patties with this mixture, but 4 medium-sized is also an option. In a large skillet (or cast iron saucier like I used), heat 1 tablespoon butter over medium heat. 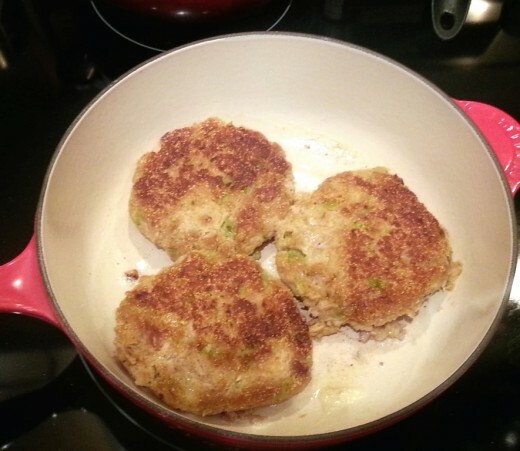 Add the patties and cook about 4-5 minutes per side, until lightly browned and heated through. 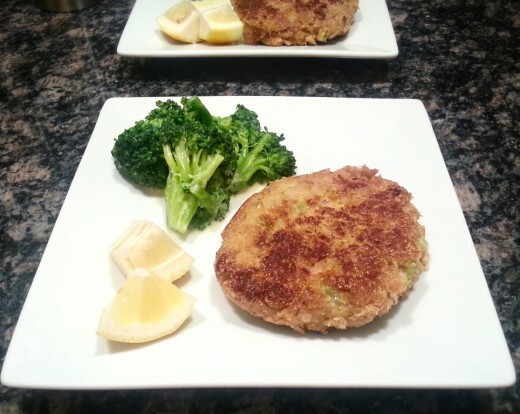 Be careful not to cook the tuna cakes over a high heat because they will brown (or burn) in less than the desired cooking time. If this happens and if turning down the heat doesn’t solve the problem, cover the pan and transfer it to a 350°F oven to cook for the remainder of the time needed. 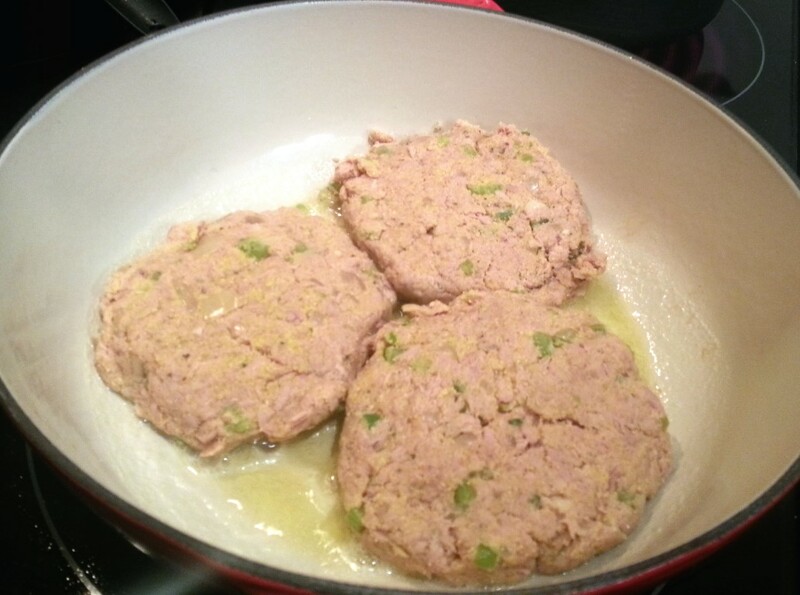 Remove the tuna cakes from the pan and squeeze the remaining lemon juice onto each patty. Serve immediately with a side of tartar sauce. 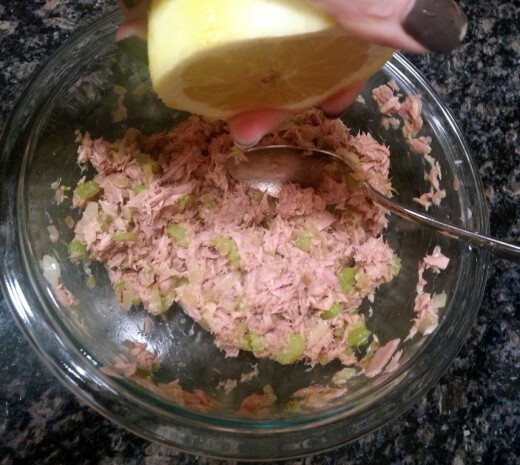 Tip: Another great way to make this recipe is by substituting salmon for the tuna or crab! 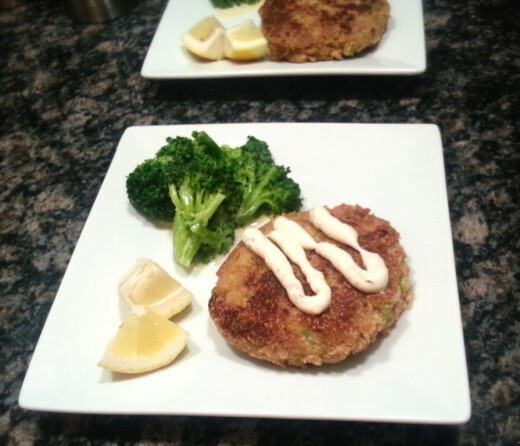 A cheaper alternative to crab cakes! Heat olive oil over medium heat. Add onion and celery and saute until soft. 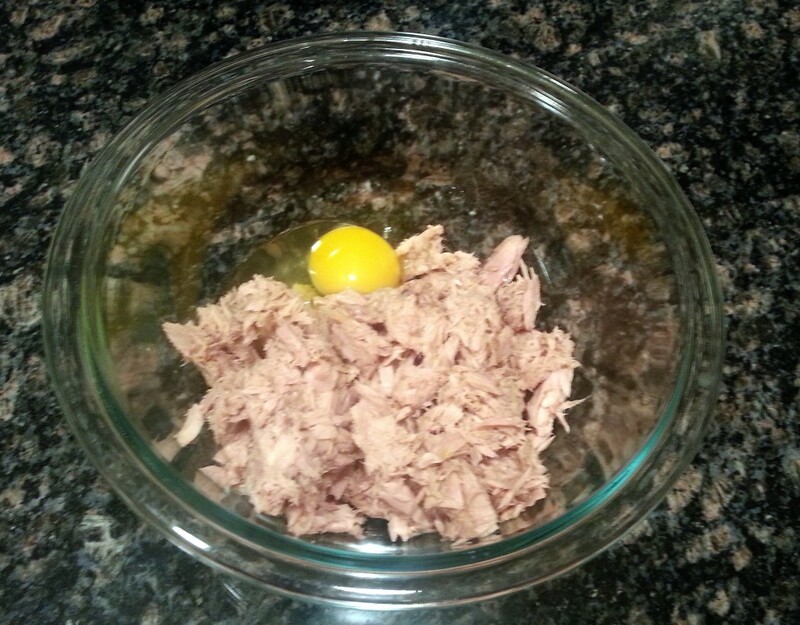 In a medium-sized bowl, combine the tuna with 1 egg. Stir in the sauteed vegetables. Add 1 teaspoon of mustard, the zest of 1 lemon and the juice of half of the lemon. Add the breadcrumbs and mix until combined. Form into patties about 1/2 inch thick. 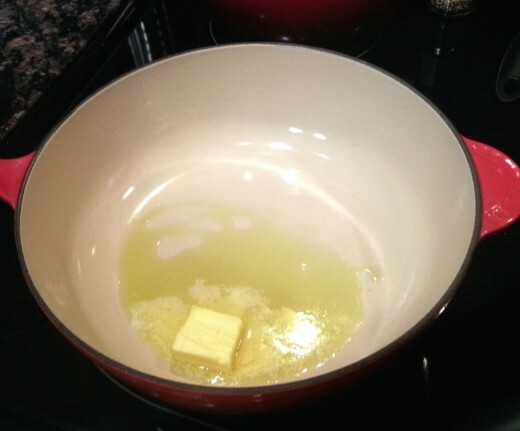 Heat butter in a skillet over medium heat. Add the patties and cook 4 to 5 minutes per side, until lightly browned and heated through. 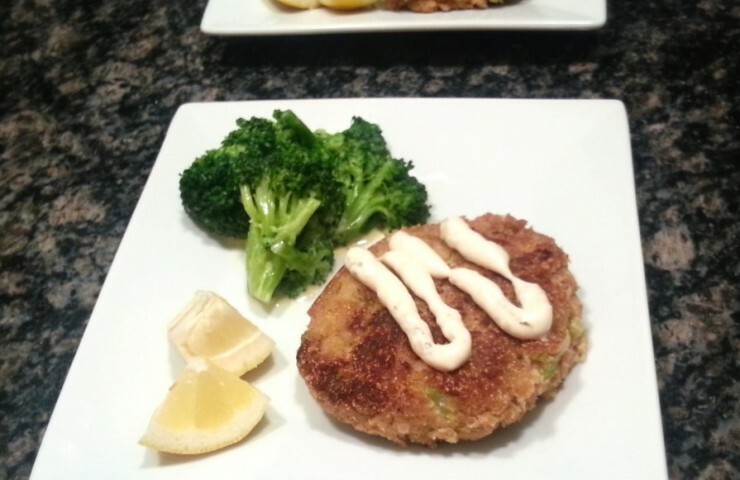 Squeeze remainder of lemon juice on top of patties and serve immediately with a side of tartar sauce. Makes 3 or 4 patties, depending on how big you prefer them. Can be made with salmon or, of course, crab!